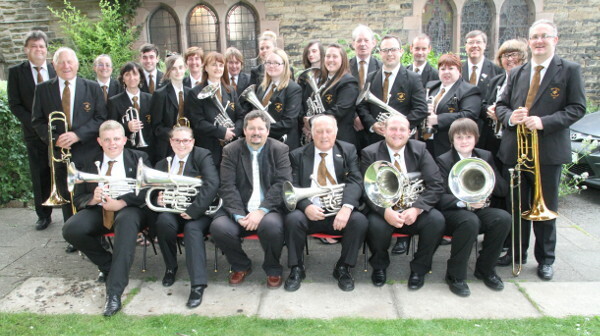 Woodhouse Prize Brass Band | Sheffield | A Sheffield brass band performing a wide range of popular music to audiences in and around Sheffield and North East Derbyshire, we're a family orientated and friendly non-contesting brass band that enjoys music and life in general! Welcome to the website of one of the oldest brass bands in the world! Woodhouse Prize Band is a traditional brass band on the south side of Sheffield in the UK about two miles from junction 31 on the M1. 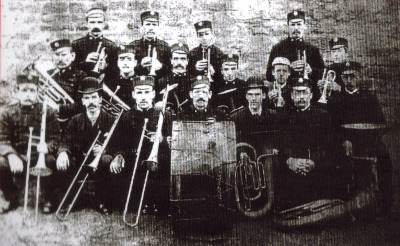 Founded in 1853, we are one of the oldest surviving brass bands in the country in continuous existence and we’re incredibly proud of our heritage. We don’t spend all our time looking backwards though. For a local village band, we think we’re quite progressive with our music and our outlook. Richard Windle appointed as Musical Director, see news page for more information. Our Events page is up to date for 2019 so if you’re looking to catch us performing, this is a good place to start. Thinking of booking the band? If you’re thinking of booking a brass band for your event, you probably want to know that you’re going to end up with one that will entertain your audience. Don’t take our word for it though… read some of the nice things people have had to say about us recently. We’re secretly pleased that the uniforms have changed a bit since the picture at the top of the page above was taken… hats are definitely out, moustaches optional! This picture was taken in 2015 at our annual Summer Patron’s Concert at Woodhouse Church. 2013 was our 160th anniversary and to mark this, we produced our first ever CD, copies of which are still available for £5 plus postage. (If you would like a copy, please visit our contact page to order). If you’re interested in booking the band for an event or you’re interested in joining us, please visit our contact page where you’ll find email addresses, phone numbers and social networking links for us. We have players of all ages and from all walks of life with a common aim: to enjoy making music together and entertaining our audiences. Central to our ethos is the fact that we do this for a hobby and it should be fun. You can navigate around our web site by using the menu at the top of the page. If you’d like to read more Band News and see photographs of the band in action, visit our News Page.